The Damocles’ sword of US sanctions will hereafter hang over India and compel New Delhi to toe Washington’s line on everything — Russia, Iran, non-proliferation, removal of tariffs on imports from the US, etc. 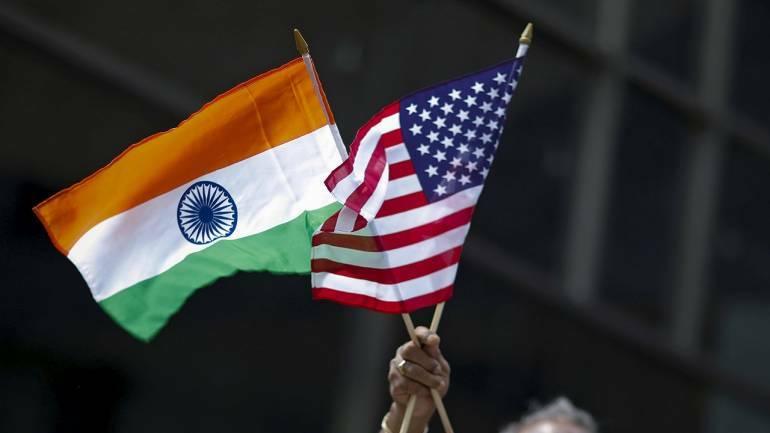 The 2×2 talks between the Indian and United States foreign and defence ministers — Sushma Swaraj and Nirmala Sitharaman, and Mike Pompeo and James Mattis respectively — scheduled for September 6, will end in India’s capitulation if the Bharatiya Janata Party (BJP)-led government of Narendra Modi signs the Communications Compatibility and Security Agreement (COMCASA). Ashley Tellis of Carnegie, who pulls weight in Washington and, incidentally, with Modi, doesn’t doubt that the S-400 system is the best of its kind in the world and that the combination of the Patriot surface-to-air missiles and the Theatre High-Altitude Air Defence system the Americans have offered is not a match. Even so, he conceives of three options for Delhi. The Modi government, he says, can “scuttle” the S-400 deal and buy into the lesser US system, or string Russia along and “defer payment” to avoid precipitating sanctions, or “Make a deal with Trump” — the option Tellis favours, by speedily agreeing to several high-value transactions for US hardware — the F-16 combat aircraft for the Indian Air Force and the F-18 carrier aircraft for the Indian Navy, that are “lucrative enough to the United States and remarkable in its potential geostrategic impact.” India’s purchase of these 1970s vintage aircraft will certainly be lucrative for America alright but what “remarkable …geostrategic impact” they will have, is a mystery! This entry was posted in arms exports, asia-Pacific/Indo-Pacific, Asian geopolitics, Decision-making, domestic politics, Europe, Geopolitics, India's strategic thinking and policy, Indian Air Force, Indian democracy, Indian ecobomic situation, Indian Navy, Indian Politics, Intelligence, MEA/foreign policy, Military Acquisitions, Military/military advice, Pakistan, Pakistan military, Russia, russian assistance, russian military, society, South Asia, Strategic Relations with the US & West, Technology transfer, Terrorism, United States, US., Weapons, Western militaries. Bookmark the permalink. I think you should go beyond this blog on this matter and write a letter to MEA and PMO raising your concerns, added with a tweet. This seems really alarming. If Modi has made up his mind, it won’t help. Does PM really understand what he is committing the nation to has he been really briefed properly? I wonder if there really are the security implications that you talk about, why does the military leadership which is supposed to make a professional judgement about these things keep mum? Why has there been so little debate about this topic in massmedia or by opposition parties before it was signed. Rss is aware of this. I believe it will not be signed. RSS is running govt or what?? BJP has been sold out to foreign funds the moment they passed FCRA bill…. I cannot resist pointing out that leaders of countries, such as DPRK and Vietnam, which are far smaller (and at that time poorer) than India displayed infinitely more self-respect when dealing with american imperialists than any Indian leader in living memory. Sure.. they paid a price for it, but they ultimately prevailed. Contrast that to successive Indian prime-ministers who bend and scrape in front of some pathetic american senator or mid-level bureaucrats in their state department. Lets not kid ourselves Professor. The US have “already” comprehensively penetrated India’s most secret communications. Our signing of COMCASA will make no difference in their collection of COMINT/SIGINT. Courtesy DRDO’s failure in developing a secure network. I remember reading Maj.Gen VK Singh’s “controversial” book(India’s external intelligence), wherein he points out how SPG used opensource Motorola devices for communication for years in PM’s security detail and for his official communication till very recently. I couldn’t have believed this if it were not from a R&AW officer’s personal account of the state of affairs.The level of rot is unbelievable. I often feel that, we are surviving just because our enemies over-estimate us. I won’t blame Doval if he gives in, for he knows well that it will take a decade to develop a comprehensive network as secure as the US’s on our own, assuming DRDO delivers in the first place. As long as Uncle Sam lives by the motto, “In god we trust, and the rest we monitor” New Delhi will always be vulnerable. Its time we treat the illness(lack of indigenous capacity) not the symptom. So you want to treat illnes by pouring more poison?? No, i am saying is we are in a dire state, the Chinese snooping in is causing us more damage than the Americans. And we have spectacularly failed to do anything about it, We are not at all equipped to take on the Chinese cyber army, only the US has the capability today. So we are stuck between a rock and a hard place. Moreover i want to call the bluff on the paranoia being spread by certain “experts” that by signing COMCASA our “secure communication” will be compromised. And it is true, but here is the fact, WE DON’T HAVE A SECURE NETWORK worth protecting. It doesn’t make a difference in a country like India, where even the PM, service Chiefs and top bureaucrats knowingly use unsecured communication network(read personal mobile) for official communications. This shows, the “sense of security” we have. And things will remain the same if they still rely on sarkari DPSUs/DRDO to develop something which the US cannot compromise. Conlusion: The situation is already dire, and we have hit rock bottom, the damage has been done with COMCASA or without COMCASA. So as far as i can tell the choice Delhi now has is to choose whether to “remain compromised” or work with the US to keep the Chinese in check. India needs secure brains, not secure networks. Ask USAID. The prescription by Mr Tellis was quite telling. I remeber and older article by you where you mention his reach in corridors of power in Delhi. Option 4 is so not give in and let the storm pass. GOI can and should question the legality of extra territorial US sanctions. Bharat Sir: Now that COMCASA has been signed, what should GOI do? What do you think it will do? Buy F-16s for the IAF and F-18s for the Indian Navy to ward off future sanctions and please Trump? What should people of India do is a bigger question. Average citizen does not understand the implications of these agreements so they are not election issues and the media which questions government on every nonsensical issue remains dead quiet when such significant accords are being signed. There has been no debate on what is correct thing to do. Our governance system needs to change and for any international agreement on security matters there should be parliamentary approval necessarily required. Not simply cabinet approval. The government should be held accountable to people on these matters.